October 4, 2018. 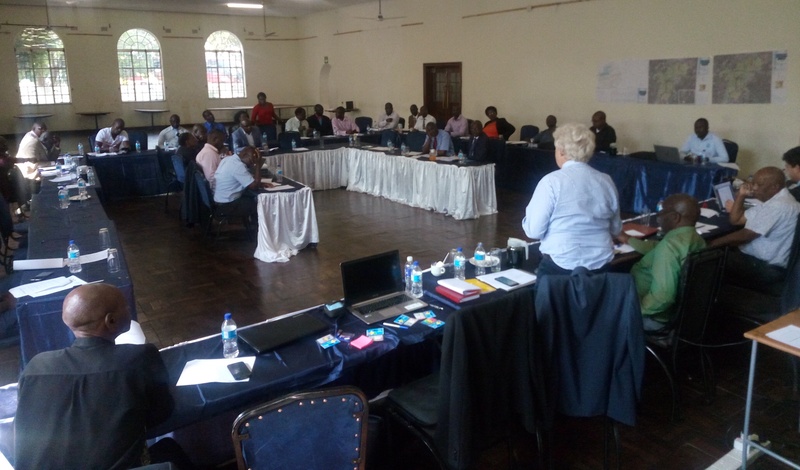 BETA Studio JV, together with international and Zimbabwean experts, organised the first stakeholders workshop for the “Marondera Integrated Urban Water Management Master Plan” Project. Many stakeholders from different Local and National Authorities attended the workshop in Marondera. The stakeholders’ engagement is a fundamental step for the development of the project. The results achieved during the first 6 months of the project were presented, including the current situation of the water and sanitation infrastructures and of the solid waste, the urban planning, the social and environmental aspects. The results of the immediate needs (detailed design of the urgent measures) provoked special interest. An open session in the afternoon involved the stakeholders discussing on issues that are the basis for the development of the next activities, i.e. the definition of alternative project scenarios, that will be presented within 6 months. Visit http://www.marondera-iuwm.org to know more.